Still can’t move on from the fierce Shin Se Gi and cute Ahn Yoo Na but life must go on. The successor, Angry Mom, already aired 3th and 4th ep this week and me as always, I haven’t watched it yet and I’m not planning to -I still need some more time to move on- . That’s an excuse by the way! Exam is just around the corner and I need to study hard plus I have a proposal and presentation to work on, so I’m not going to pick up any drama until May. Enough with my “rant”, let’s dedicate this post for the beyond perfect Kill Me, Heal Me. who haven’t watched this? God, where have you been? This show slayed so hard and you cannot leave out the two trends the show made! One was the lip tint that one of Ji Sung’s personalities, Ahn Yoo Na wore on ep 8. The second was the cute rabbit pj, again, Ahn Yoo Na wore on ep 9. Both items were sold out not long after the ep aired. We know the popularity a drama has if that drama is being discussed by many people and KMHM was being discussed literally everywhere. If you go to my campus and just ask random students whether they watched KMHM or not I bet 8 out of 10 would say they have. Ask the girls not the guys of course LOL. KMHM was like a red rose among white roses, it stood out among its competitors. OH MY GOD. 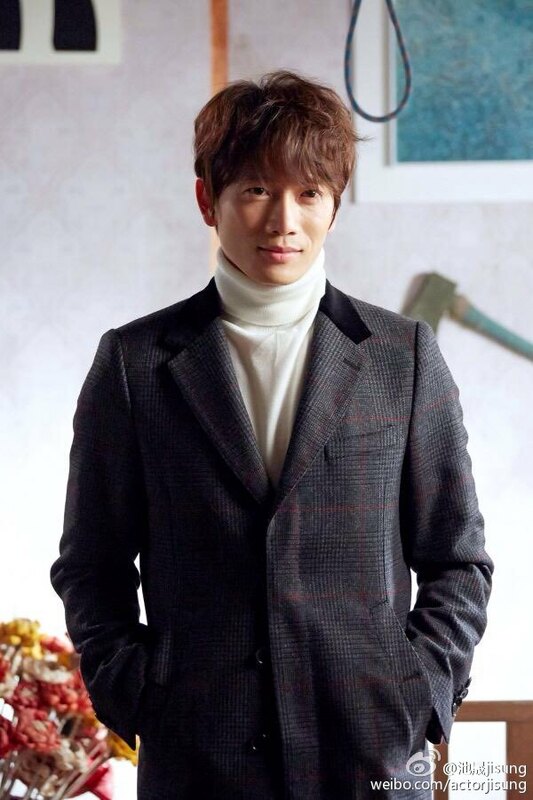 Ji Sung alone could slay the whole series, then we got Hwang Jung Eum. I couldn’t ask for more, it’s –much- more than enough! 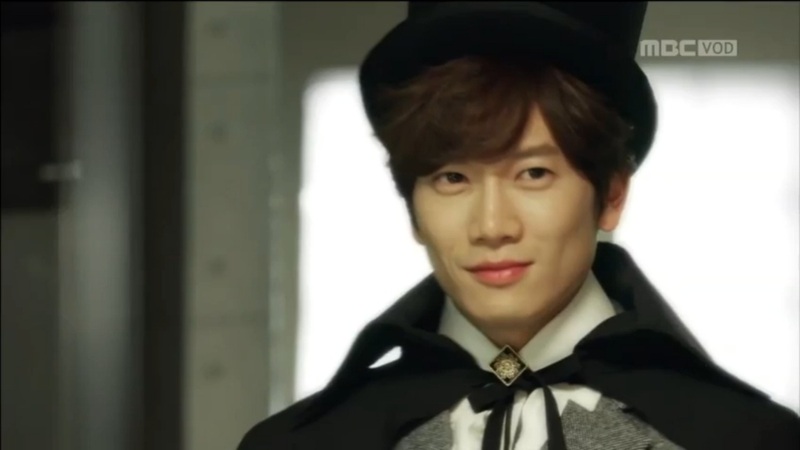 Ji Sung nailed this role!!! He showed extraordinary skills and I think he deserves an award for each personality. If he doesn’t win the daesang this year, then something is wrong with MBC. He didn’t only change his hairstyle and style when different personality came out. He basically changed everything; gaze, tone, gesture even little details in his acting. I kindly want you to remember how perfectly he pulled off every personality. He made every personality stood out. Cha Do Hyun with his “neat life”, Shin Se Gi with his trademark gaze, Ahn Yoo Na with her trademark “OPPA” voice, Perry Park and his funny accent, Ahn Yoo Seob and his sad voice and even Mr. X with his calm and soothing voice! Now, let me confirm it beforehand, you’re going to give Ji Sung the most prestigious award of the MBC Drama Awards which called Daesang right, MBC? Now the fab, Hwang Jung Eum. I seriously thought she wasn’t the perfect fit Oh Ri Jin role. Ri Jin was describe as a funny, cheerful young adult woman and she was FAR from that on Secret so I thought it would be really awkward to see her with all Ri Jin’s witty, funny acts but I was wrong!! She was STELLAR! She nailed her role perfectly. On early episodes I thought she would lose her voice since she did like hundreds of high-pitched screams but she didn’t LOLOLOLOL which oddly I found really funny. On ep i-forget-what-ep-it-was-and-damn-lazy-to-find-out when she got kidnapped and locked in a room and suddenly remembered something about her childhood making her have troubles with her breathing, that scene, ugh, she was so amazing in that scene. We also have Orion, the omega writer, played by Park Seo Joon. What can I say about him? Ugh all casts did extremely great job in portraying their roles and I have no words to describe how stellar their performances were. Give me some time to breathe, I’m running out breath. The directing was on point except in some scenes I hated it so much that they zoomed in on the casts’ faces too much. The camerawork was nice to watch and no dull-low quality scenes. Loved all from ep, 1 to 20. I’m already running out of breath. I couldn’t find any holes in this drama series. The writing was really good. The writer did an excellent job by giving us roller coaster ride every episode. The writing was gold! And worth remembering for years. I loved it that I was fully tricked by the writer-nim, Jin Soo Wan, I thought that the child who was locked in the basement was a boy but it turned out to be Ri Jin. At some point, I believed that child was Oh Ri On especially when we all knew that Oh Ri On investigated Seung Jin Group and kept that fact away from everyone until one day his twin sister found out. We have the funny, bomb expert, Perry Park! If you think Perry is the best, wait, hold on. The best is yet to come. /SCREAMSSSS/ IT’S SHIN SE GI NOW YALL NEED TO SCREAM!!!! Ahn Yo Sub. The personality who always wanted to kill himself. Created because Shin Se Gi and-or Cha Do Hyun hated everything and needed to escape. Ahn Yoo Na!!!!! Ahn. Yoo. Na. The trend maker, the free-spirit 17 years old female student who -according to Do Hyun- was a sasaeng. Oh Ri On #1 fan! Nana was not one of Do Hyun’s split personalities. Nana was Oh Ri Jin. Do Hyun kept his memories of the child Oh Ri Jin inside him and created a “space” for her inside him. How to explain this with my limited English oh God. But one thing you must know, Nana was not the personality Do Hyun created, Nana was Oh Ri Jin. Do Hyun created Nana so that he could remember Ri Jin. We were totally fooled. We thought that Nana was the teddy bear but no, Nana was Oh Ri Jin. Gaaah, Jin Soo Wan-nim is really on another level. “Cha Do Hyun (Cha-goon) imnida.” That one sentence always made me like a little puppy every time! Do Hyun was one pity boy who created Shin Se Gi to save the child Ri Jin. Shin Se Gi recognized the adult Ri Jin and decided to chase after her. The tension between Se Gi and Do Hyun was real. It was not because of Ri Jin only, but also because of so many things. 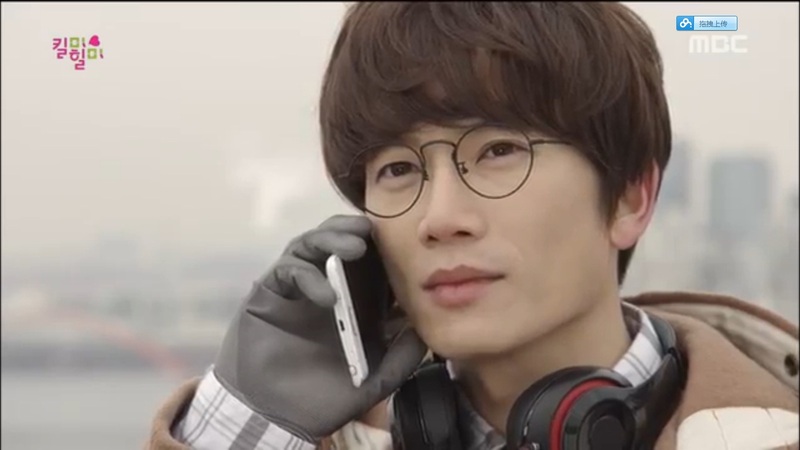 And I think Se Gi x Do Hyun added a strong element into the story. Every episode was loaded with surprises. The turn of events was jjang! The one who started the whole ugly mess was Do Hyun’s father and the one who made it even messier was Do Hyun himself. Then remember that one episode when the little Oh Ri Jin said her name was not Oh Ri Jin but Cha Do Hyun. Menboong!!! And I thought Do Hyun’s real name was Shin Se Gi since his mother’s family name was Shin and also because this guy remembered everything that even his master couldn’t remember. But it turned out that the name “Shin Se Gi” was the name of matchstick the child Do Hyun used to start the fire. The name was “New Century” which in Korean is “Shin Se Gi”. I loved it that every personality’s name had its own meaning. Like Shin Se Gi, Perry Park, Mr. X, Nana, Yoo Na, Yoo Sub, all of them. I loved it that almost on every episode, no matter how heavy it was, there was at least one scene that cracked me up. Especially everytime Yoo Na appeared. There is no hole in this drama. Everything is perfect perfect perfect just perfect. It’s like the writer-nim spent three years after his last work (The Moon Embracing The Sun) just to work on KMHM script. It’s like a well written book, very well thought out from beginning to end. 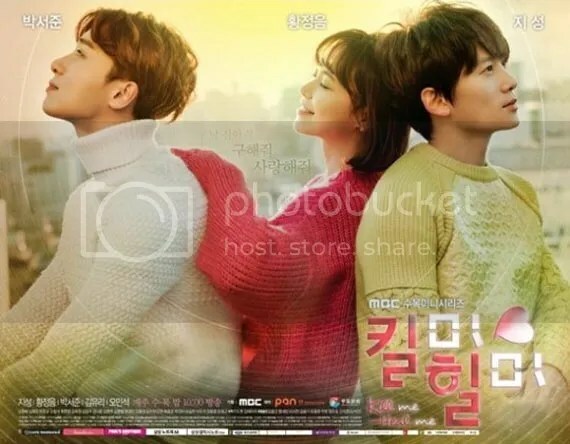 If you haven’t watch this drama, watch it! Watch it or you’ll regret. This show is on another level. LOVEEEEEEEEEEEEE the OST. Some of you might think that KMHM had the least OST in kdramaland (LOL) because they played “환청” way too often. But if you happen to check melOn or other music portals, this song has been on top 50 since its release. It was in top 10 on music portals (i only checked Genie and MelOn dk about other 7 sites) for quite some time. And even now, 150327 21:00 KST the song is #27 on MelOn and #34 on Genie. It’s usually really rare when a song from a drama stays on the chart for so long. And knowing that the drama ended almost one month ago, 환청 is still on the chart, wow, just wow. Another OST that slays the chart is “너의 모든 순간” sang by Sung Si Kyung for You Who Came From Stars that’s #89 on Genie (not on top 100 on MelOn). You guys are probably familiar with this song called “제비꽃”. Ji Sung sang this song! Go go go stream and purchase the song! Another song that i like is “말할 수 없는 비밀” sang by문명진 (Moon Myung Jin). In short, all songs are so nice to listen to, it’s filled with emotions and really recommended. Will I Watch it Again? HELL YES!